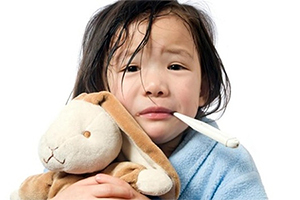 The flu is often more serious than the common cold in children. Each year, millions of children get sick with the flu, which can result in hospitalization or death. The 2016-2017 flu season resulted in the hospitalization of thousands of children and the reported deaths of 106 children. One death from influenza is one death too many. In past seasons, between 80% and 85% of flu-related deaths were in children who had not gotten a flu vaccine that season. Take steps now to prevent the flu! Get your influenza vaccination by the end of October, if possible. It’s critically important for everyone to get vaccinated against influenza every year, including children, parents, and child care staff. Influenza immunization is the single best way to reduce flu illness. For the second season in a row, the American Academy of Pediatrics (AAP) and the Centers for Disease Control and Prevention (CDC) do not recommend that the nasal spray flu vaccine (live attenuated influenza vaccine or LAIV4) be used at all this flu season because of its poor effectiveness the past few years. Therefore, people should only receive a flu shot this season. Annual influenza vaccine is recommended for all people 6 months of age and older. Children younger than 5, but especially children younger than 2 years old, are at an increased risk of hospitalization and complications due to influenza. Since infants younger than 6 months are too young to get their own flu shot, the best way to protect these very young children is for all family members and caregivers to get the flu vaccine. This is called "cocooning”, and it is especially important for adults who care for infants younger than 6 months. Children who have chronic medical conditions, such as asthma, diabetes or neurologic conditions, are also at higher risk for serious complications due to influenza; parents and caregivers can help protect more vulnerable children by vaccinating both the children and themselves. By getting a flu shot during pregnancy, a mother can pass on protection against flu to her newborn baby that will last through the first several months of life. In addition, pregnant women are at high risk of severe illness from influenza, as changes in the immune system, heart, and lungs during pregnancy make pregnant women (and women up to two weeks postpartum) more prone to severe illness and even hospitalization from flu. Flu shots may be given to pregnant women at any time during pregnancy. The vaccine is a safe way to protect the mother and her developing baby from serious illness and complications from flu. Checking influenza vaccination records regularly to ensure each child in their care is up to date on their vaccinations. Educating staff and ensuring that all staff receive their flu vaccine each season. Educating parents in their program and helping connect them to credible resources. The quadrivalent vaccine protects against the same three strains that are in the trivalent vaccine and both influenza B strains. The AAP and the CDC do not have a preference of one vaccine over another this season. The important thing is to make sure everyone gets a flu vaccine! Get your flu vaccine by the end of October, if possible, and encourage all staff, children, and parents to get the flu vaccine. Everyone needs a flu vaccine each year! Examine and revise your program’s written plan for seasonal flu. Invite a pediatrician or child care health consultant to provide influenza prevention education to your staff. Use CDC posters and handouts to educate caregivers and staff about proper hand hygiene and cough/sneeze etiquette. Update family contact information and child records, so parents can be reached quickly if they need to pick up their sick child. Once flu season starts, it can be challenging to keep germs from spreading. While you can catch the flu any time of the year, in the United States the virus is most common in the fall and winter usually peaking between in January, February, and March. But don’t forget that flu activity may start as early as November and as late as May. It can be difficult to tell the difference between flu and the common cold based on symptoms alone. The flu is often worse than the common cold. Some people, however, can be infected with the flu virus and have no symptoms, but still spread the virus to others. Policies in your child care center can limit the spread of the influenza and should focus on encouraging vaccination and implementation of everyday preventive actions like good respiratory etiquette, hand washing; cleaning, sanitizing, and disinfecting; and excluding children and caregivers who have respiratory symptoms (cough, runny nose, or sore throat) and fever. The child can return to the center when the fever has resolved (without the use of fever-reducing medicine), the child is able to participate in normal activities, and staff can care for the child without compromising their ability to care for the other children in the group. AAP is it Safe for a Baby to Get the Flu Vaccine in March and April, and then Get the Next Season's Flu Vaccine in August? AAP Why should my Son Get the Flu Shot at the Pediatrician’s Office vs. a Retail-based Pharmacy? CDC Fact Sheet No More Excuses: You Need a Flu Vaccine!